Give your Kayfun 3.1 or Kayfun Lite a new look! Your getting 7 different replacement tanks for just $5.14 – a great deal! Better known as the “M” tank – these run about $5.00 ea on most websites. Here is the latest version of the Stingray mechanical – all dressed up in pure copper. 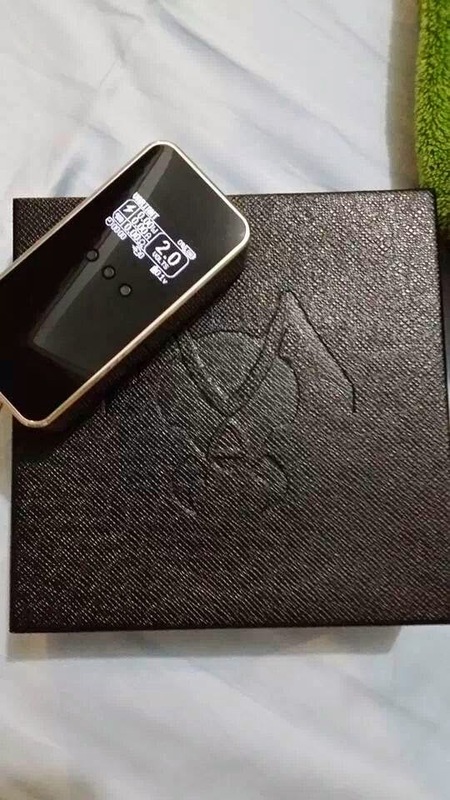 The pictures are provided directly from the manufacturer, so you are getting what you see! These products will be coming from SXK and estimated arrival date is 4/28/14. It will be at a first come first serve basis, meaning lower serial numbers will be issued to the people who reserves them first. As this is a pre-order, if any changes are made on delivery date, customers will be notified instantly by email. Pre-Order yours with confidence, as we hold a 100% positive feedback and rated Top-Seller! Laser Engravings: Stingray Logo and Serial Number on 18350 Tube. 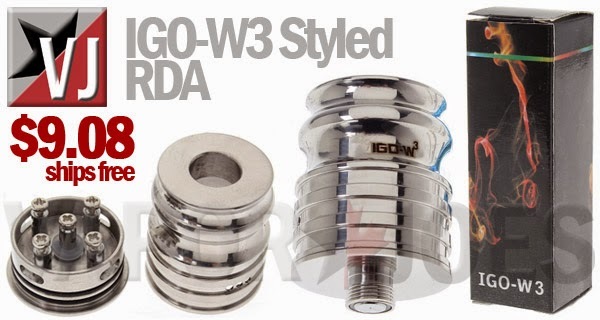 The IGO-W3 is purpose built for your exotic coil builds. 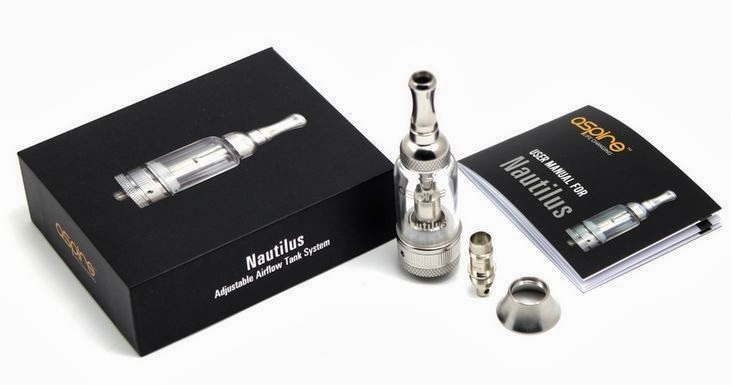 This rebuildable atomizer sports 4 posts so you can have a 1 to 8 coil set up! Test your rebuilding skills with something over the top! Live from Vapebash! The Finale..
Just got word that in about 4 weeks a ZNA lite will be dropping. It will be made of aluminum and have a metallic PVD coating. The body will be slightly wider and use the standard USA version of the Evolv DNA30. When these land they will be sold online at Electronicstix. As I get pictures – you will get pictures. Simple lines and a clean look is all the rage for mechanicals now. The GP Paps replica is a fine example. For $15.00 I think its a steal at that price! Looking for something a little different? Well you can have your pick of nine! 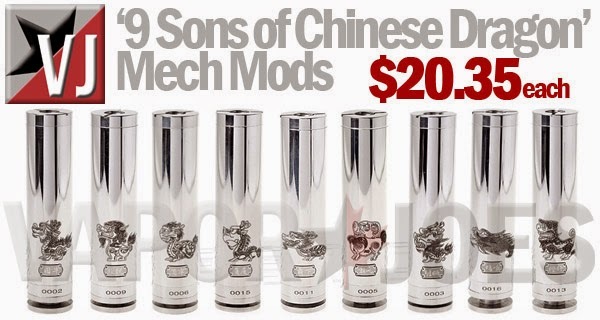 Meet the ‘Nine Sons of Chinese Dragon’ Mods. They are stainless steel 18650 mechanicals with brass negative posts and adjustable copper positive posts. Bottom-fire switches feature a reverse locking ring, and the cap has two air channels cut into it. Each one features different engravings and a random serial number. Hanging out at the Cigtechs table they showed off a new prototype. This will be a new DNA30 extension for the big nasty. With the Big Nasty clone hitting the streets, this is a great way to keep the legit version up to date. Now you can have a 26650 DNA30 mod. There has been no name or price set, but it works and look great!! So I heard some rumblings about this but I didn’t want to say anything until someone confirmed it for me. I was talking to them at Bash today and they wouldn’t give me a time frame, name, or price – but they will be coming out with a DNA30 mod. 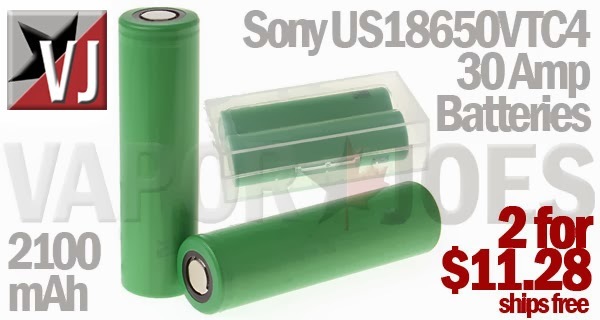 I believe these will run off the USA versions of the DNA30 board from Evolv. More if I get more! THE VICIOUS ANTS 120 WATT BOX MOD?? 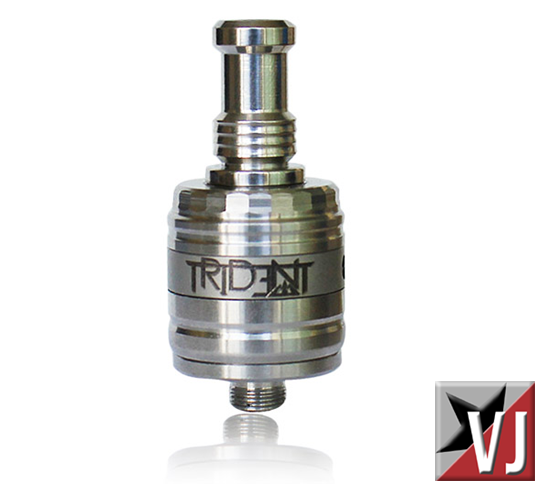 Here is a great deal on the v2 Trident RDA. Lots of improvements over the original. We sell these out quick – so get your order in ASAP. 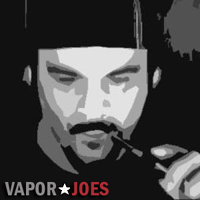 In an extreme rare turn of events – Vaping watch is running a 10% off coupon on his site for all his juices. This is the first time EVER! All Mad Murdock flavors are in stock! Newest creation by the insane genius behind Pluid, Maha Ras, and Mellow Melange (to name a few), Mad Murdock Ruml. This flavor is very different from what we’re used to but it still continues his signature trio of intense flavor, extreme complexity, and subtle nuances we’ve come to expect. I’m beginning to think there’s nothing this mad mixologist can’t make! LIVE: PROVARI NOW IN METALLIC EMERALD GREEN! The metallic emerald green Provari is live! These are one of the sexiest colors to ever! I own four, and I think I’m about to own a 5th. Get these while they lasts – these will go quick. The ProVari is a microprocessor controlled electronic cigarette that lets you adjust the voltage in seconds with just a few button presses. 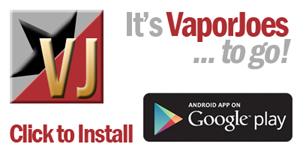 Now you can dial-in the perfect settings for your atomizer, cartomizer and e-liquid. The ProVari has a regulated output which keeps the voltage the same with each puff regardless of your remaining battery power. 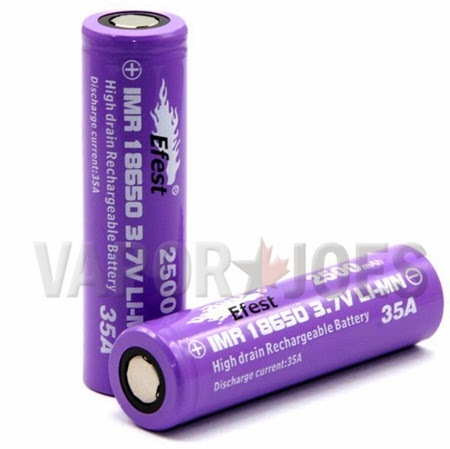 As the battery drains the device will keep the voltage consistent giving you the perfect vaper all day long.